Jack has lived in the Magic Valley for 45 years. Real Estate is what he knows and service is what he gives. 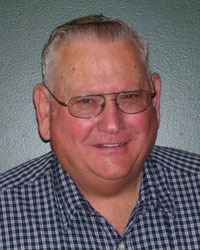 He has been involved in agriculture all his life and knows Southern Idaho like the back of his hand. Whether you are buying or selling farm or ranch property, residential or commercial, he can help you. You will find working with Jack to be pleasant, professional and maybe even a little amusing. Stop by and discuss your Real Estate needs with him, it will be an enjoyable experience. ©2019 Mini-Cassia Multiple Listing Service. Copyright © 2014 Western Hills Realty. All Rights Reserved.